The circular Ring of Fire Set of Three by Moe's Home Collection makes a shining and radiant addition to your existing decor. Both geometric and artistic, this modern set of ceiling hangings has adjustable lengths for a versatile look. This set of three rings is crafted from shiny metallic for a futuristic vibe. 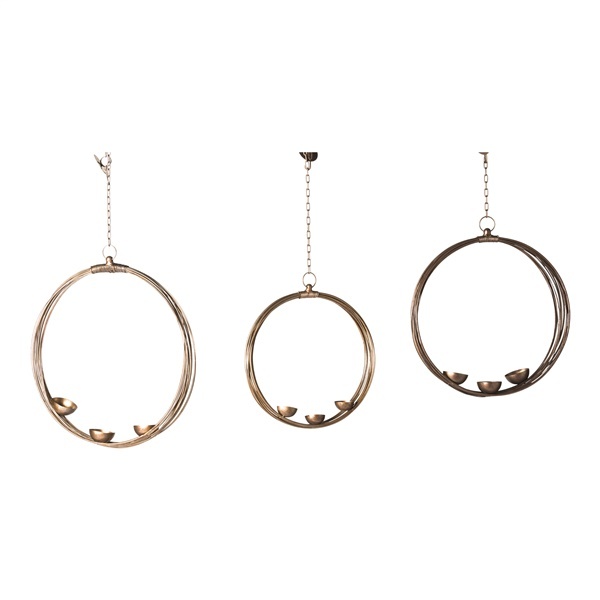 Boasting ceiling mounts for convenient installation, Moe's Ring of Fire Set of Three makes a stylish statement in your home or office.